The 2006 tax swap — lowering local school property taxes and creating a new state business tax to make up the difference — is at the center of the state’s current budget troubles. It was never an even swap, and the architects are still pointing fingers over what and whom to blame for the “structural deficit” in state finances. Then-Comptroller Carole Keeton Strayhorn told lawmakers at the time that the package of bills didn’t balance. 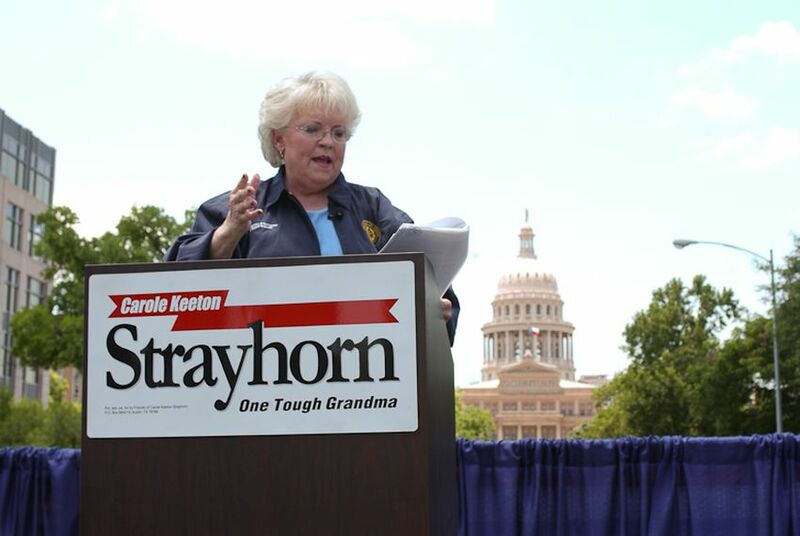 But it was easy to dismiss her concerns because Strayhorn, a brash and ambitious Republican, was also campaigning as an independent for governor against Rick Perry, and the warnings were widely seen as a political attack on the incumbent. In May 2006, she wrote a letter to Perry (copying it to reporters, of course) saying the swap was “the largest tax increase in history and leaves the largest hot check in Texas history.” By her reckoning, the state was raising $23 billion less with its new taxes over the first five years than it was promising in relief to property taxpayers in local school districts around the state. She urged Perry to veto it. He signed it instead. Lawmakers had a surplus the next time they met in regular session, in 2007. In 2009, they were prepared for the worst, with a wobbly economy and the effects of the school finance swap catching up with them. Then they found a pot of gold, in the form of federal stimulus money. A recent report from the state auditor says Texas has received $22.6 billion in stimulus money as of February. Lawmakers got out of trouble in the 2009 session with an overall budget that was bigger than the one they wrote two years before that. The trouble — call it a structural deficit if you want — started in 2006, when lawmakers were searching for something that would keep the state out of court over how it finances public schools. Specifically, they wanted to lower local school property taxes. But they needed new state revenue to do it. Perry and his wingman assembled a blue-ribbon business panel, which proposed a new state business tax and a list of other measures that could lower local property taxes, keep the school finance lawyers at bay and not raise objections from professional and amateur tax protesters. They even got Grover Norquist to say it wasn’t a new tax if it didn’t ultimately increase the state’s income. After it finally passed, it raised much less than it promised to spend. The Texas Taxpayers and Research Association, a business association that specializes in fiscal matters, estimated earlier this year that the 2006 swap costs the state $10.6 billion every two years, about half of it for the tax relief and about half for the increased spending on schools that got thrown in to sweeten the package. That was supposed to be made up by state surpluses — hey, it was a boom economy — and, in fact, that’s what happened at first. Now the state is in the hole, and some blame the 2006 adventure. But as Dale K. Craymer, president of the taxpayers association, pointed out, they weren’t yelling about it when the state was running surpluses. Sharp’s somewhat defensive version is that lawmakers used a state surplus that year to pay for school improvements and that the comptrollers then and now overestimated what the new business tax would collect. Even so, everything worked, as long as the state was running surpluses. The economy wrecked that, and the stimulus let lawmakers put off the problem for two years.